We bring you the sixth of a 14 part series of extract from the Morphogenesis Monograph, to give you a peek into the mind space of one of India’s best recognized, sustainable design practices. India is a large nation with a large population. There is no dearth of natural or Human Resource. Yet cities are under stress and scarcity of resource is an all- pervasive phenomenon. Addressing the need for optimisation in the deployment of limited resources of various types has been a constant in the two decades of practice at Morphogenesis. The firm takes inspiration from the processes in nature, in how nature has no waste, uses and consumes everything, using the least amount of material for maximum impact. As a rapidly developing nation with the urbanised population set to grow from 30 percent to 50 percent over the next two decades, this approach becomes even more critical in urban and public projects for its intended capital cost. Sustainable urbanism is imperative, but can only mitigate environmental impacts so long as it is conceived with economic adequacy. One of Morphogenesis’ key drivers of overall affordability is efficient building planning to balance construction costs with maximum space. The firm’s guiding principle of ‘no is more’ comes into play to avoid what the firm terms as ‘over- buildability’. Dwelling further on the concept of ‘no is more’, Morphogenesis applies this to energy management at the urban and building levels. The design philosophy is to target all projects to be ‘net zero enabled’ and ultimately try to achieve ‘unplugged buildings’ that are self-sufficient in terms of energy need. 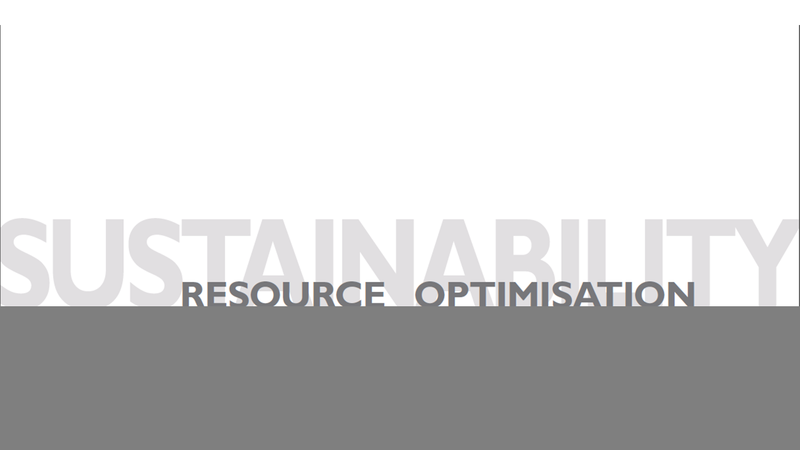 To constantly address these changing demands and yet sustain the firm’s deeply invested agenda for sustainability through resource optimisation has been a challenge, but one that is actively pursued. While modernisation in India has been very rapid, skills-training has not always kept pace. At the other end of the spectrum is the challenge of nurturing local arts, crafts and traditional construction technologies, which are often not in sync with globalised methods of construction. Morphogenesis works to address this colossal drain by researching and adapting local construction strategies, materials and skills towards some design needs, and, at times, even be the generator of these. In order to optimise resources and time, the firm’s learning over the years has been to undertake an in-depth analysis of available skill-sets and strategise the project’s design, construction and engineering. An analytical design process that evaluates local context in terms of climatic, geological and hydrological conditions is followed. At an urban scale, Morphogenesis’ thrust on environmental and socio-cultural sustainability employs practices that minimise the carbon footprint of the built intervention, adds substantial transit choices and regenerates the environment through greenways and community spaces. Morphogenesis’ overall design ethos cantilevers effectively across a project so that it simultaneously focuses on increasing the project’s environmental sustainability while challenging the myth that green buildings are more expensive to build.